Not sure? You’re probably Greener than you think. If a strong local economy, healthy communities and a democracy that truly represents Canadians are important to you… then you’re already Green. 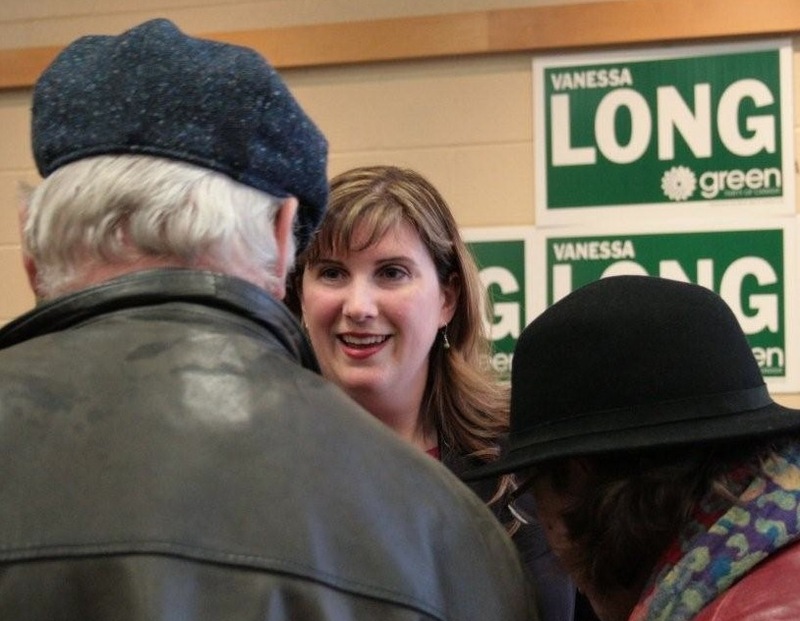 I’m Vanessa Long, the Green Party of Canada Candidate in Newmarket-Aurora. Your local Green Party has just finished a very successful campaign. And we are already building for our next one. Greens across the country are celebrating the election of our Leader, Elizabeth May to the House of Commons. That’s right, Canada has elected its first Green MP. And we want her to have some company next time. Please help us build our local profile and convince the residents of Newmarket and Aurora that a strong Green voice is the right choice for them. One $60 donation will help us reach another 400 families with the Green message. One lawn sign will tell your neighbourhood that the Green Party has supporters just like them. Get one and convince a neighbour to get one as well. Start a Green wave. We need volunteers to deliver lawn signs, telephone and door canvass, and a multitude of other essential jobs. Find out what we’re up to by coming to our local meetings, the third Monday of every month at the Aurora Town Hall at 7 p.m.
Don’t miss a single minute of the Green campaign in Newmarket-Aurora. Sign up for our regular emails and you’ll never miss another Green event. We are determined to improve the quality of life for all Canadians and ensure that each one of us lives with dignity. There are 6 very clear Green Party values, shared by Green Parties all over the world. I’m very clear on what is important in this election: Real Democracy, An Economy that Works, and Healthy Communities. PS Don’t forget to sign up for our email list so you don’t miss anything.